Numero uno. 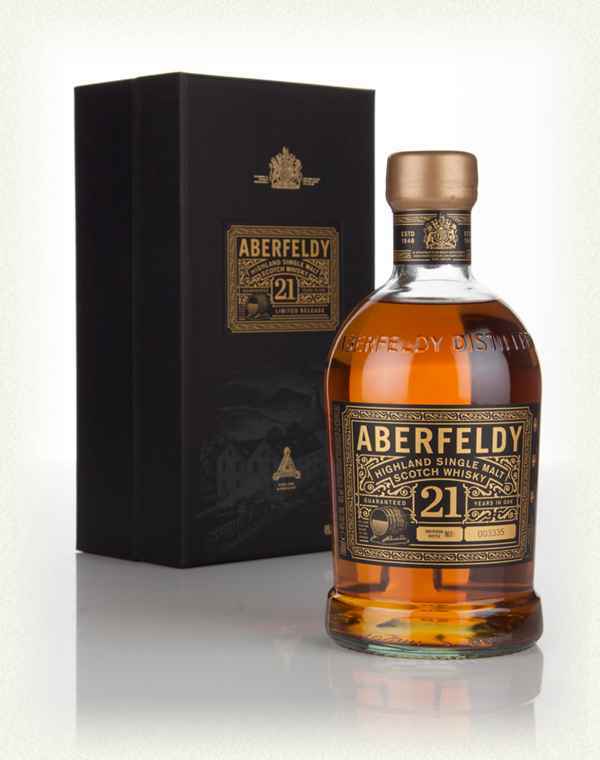 The first whisky in the original “101 Whiskies to Try Before You Die” book is the Aberfeldy 21. Albeit it’s first because the whiskies are alphabetically ordered but none the less it makes quite an impression. Ian Buxton wrote a good review extolling it’s virtues so I won’t do too much with this intro. You should check out the book. It’s a fun read if you like whiskies. Sweet rich condensed milk. A bit like Asian iced coffee drinks that come in the can. Has that kind of synthetic sweetness that is a mix of coffee essence and syrup. Strangely alternates to fresh cut grass. Dark chocolate. Slight overtones of savoury Asian food. It’s got some powerful tanginess to it with coffee beans, chocolate, sweeteners. Wow really reminds me of Asian coffee drinks mixed with Irish cream. Nutty. Vietnamese coffee hard candies. The foam on the top of a latte. The last sips of an Ice Blended Mocha from Coffee Bean and Tea Leaf. Roast almonds. Hangs in there. I don’t know why it reminds me of coffee so much but I like it. Its unusual for me to taste coffee and chocolate in a whisky. Kind of strange but funky in a way that I like. Fresh cut grass and elderflower cordial. Hints of raisins and red apples. The earthy notes remain and are joined by some sweet and sour notes. Crisp sour apple with vanilla sugar. Quick and to the point. Cinnamon and spice. Really enjoyed the unique taste of this. I like the crisp nature. Would drink happily.